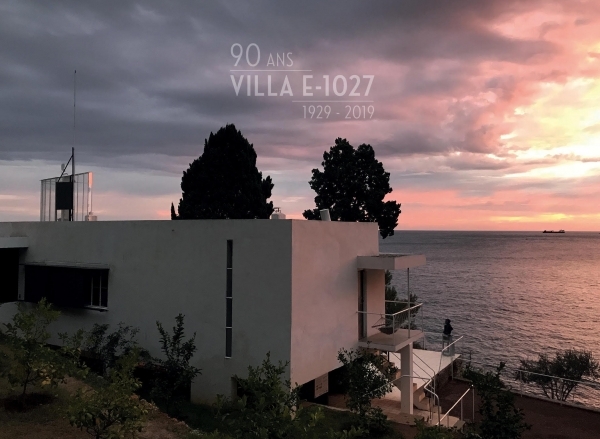 Celebrating the 90th anniversary of e.1027, a gala dinner will take place on the terraces of Eileen Gray's modernist villa in Roquebrune-Cap-Martin on June 15, 2019. 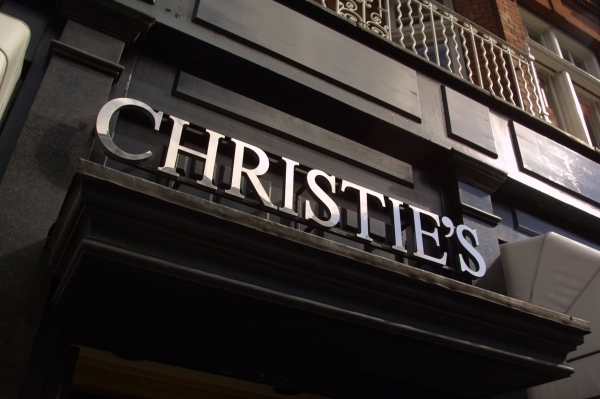 There will be a raffle and a small charity auction to raise funds for the final stages of the restoration. 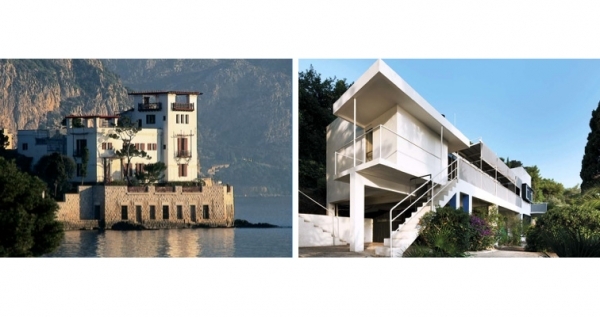 Please join Friends of E-1027 as we celebrate 20 years and the successful restoration of Eileen Gray’s villa with a festive trip to Roquebrune and the French Riviera. We will learn the history of the villa from classical to modern times and visit architecturally important villas, including private access to several privately-owned villas, not ordinarily open to the public. The highlight will be a Gala Dinner at E-1027 on the terrace overlooking Monaco Bay. Click here to download the reservation form to reserve your spot. 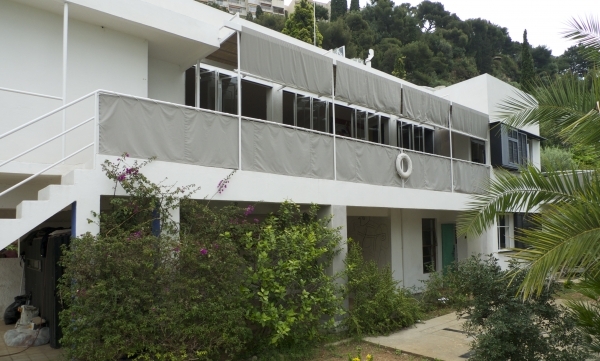 "Talking House: Eileen Gray & Jean Badovici" is a 40-minute montage of E.1027, the iconic modernist villa built by Eileen Gray and Jean Badovici on the Cote d’Azur in 1929. This multi-media art piece created by Elizabeth Lennard will be a part of the MoMA exhibit, How Should We Live? Propositions for the Modern Interior (Oct. 1–April 23, 2017). ADFF will offer a unique opportunity to see this on a large screen followed by a conversation with Juliet Kinchin, Curator of Modern Design at MoMA, NY architect and Elle DECOR's contributing writer Joseph Giovannini, and Artist/Director Elizabeth Lennard. To buy tickets, visit the ADFF website here. 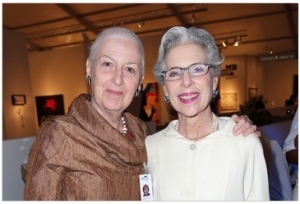 Friends of E.1027 & Christie's present a benefit auction supporting the restoration of Eileen Gray's E.1027. Join us for an evening celebrating the life and work of Eileen Gray. To support the ongoing restoration of E.1027, Gray's seminal modernist villa in the south of France, we will be offering approximately 20 lots across a variety of media, with the proceeds directly benefiting E.1027. For more information, email e1027@sandrageringinc.com. Join us on Monday April 13 at 6:30 PM at the New York School of Interior Design for "Eileen Gray: Why Now?" A panel discussion consisting of Cloé Pitiot, curator at the Centre Pompidou; Jennifer Goff, Eileen Gray scholar and curator at the National Museum of Ireland; Adriana Friedman from DeLorenzo Gallery; and our very own Sandra Gering. Learn more about the event and purchase tickets here: http://nysid.edu/news-events/events/eileen-gray. A limited edition set of prints by Julian Lennon will be unveiled by Sandra Gering Inc. on behalf of fine art publishers Stoney Road Press and Friends of e.1027. This original set of portrait stills of The Price of Desire cast in character includes an introduction by and portrait of Julian Lennon. Complete sets of 15 prints are available, as well as individual prints. 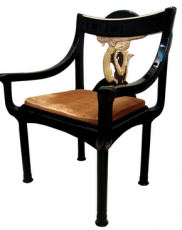 Proceeds will directly benefit the restoration of Eileen Gray's solarium at e.1027. Read Julian's personal statement about this project on Stoney Road Press' website here. 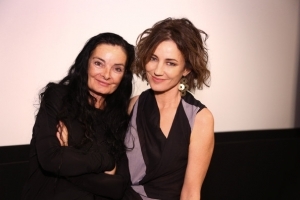 The Price of Desire, the much anticipated feature film by director Mary McGuckian, explores the amazing life story of Eileen Gray. 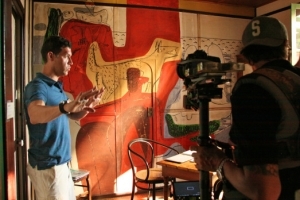 "More than a movie, more of a movement," explains McGuckian, the film shares the controversial story of how Le Corbusier effaced and defaced Eileen Gray's moral right to be recognized as the author of her work and alludes to a larger universal female experience while cinematically evoking the essential aesthetic of Eileen Gray. 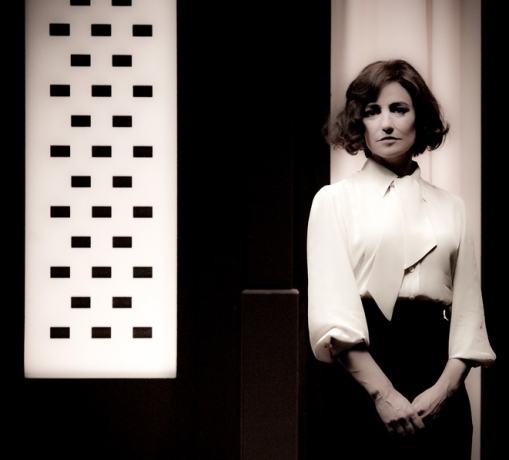 Starring Orla Brady as Eileen Gray and featuring Francesco Scianna and Vincent Perez, with Alanis MOrrissette and Dominique Pinon, The Price of Desire will premiere at the Jameson Dublin International Film Festival in March 2015. Gray Matters is the story of Eileen Gray, the 20th Century artist whose vision, imagination and sensibility changed the way we live, within both houses and their furniture. The documentary is a historical, scholarly and cinematic investigation of the life of one of the most significant, but otherwise little known contemporary artists. 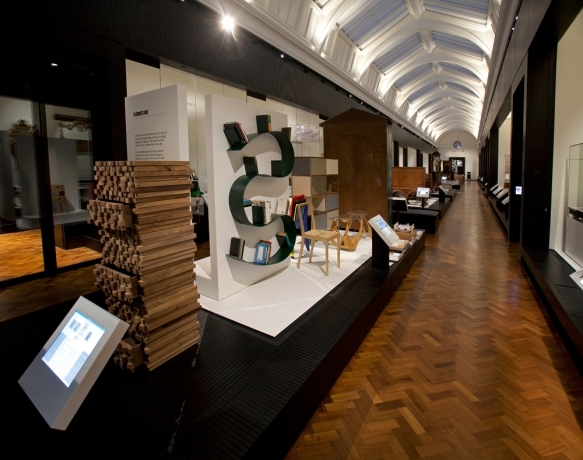 Gray's work will be included at a new permanent furniture gallery at London's Victoria & Albert Museum. The Centre Pompidou is also currently holding a major retrospective on Eileen Gray. The show includes several period rooms, including e.1027.